The Mayor of Prahran (Cr. 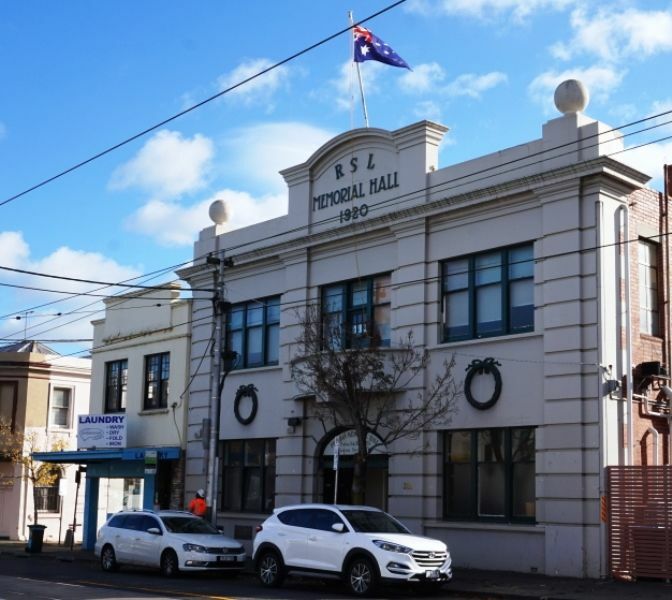 G. N. Heyward) yesterday afternoon laid the foundation stone of the hall which is being erected in High-street) Prahran, as a memorial to the sailors and soldiers of Prahran who fought in the great war. There was a very large assemblage of citizens including Mr. Maxwell, M.P., Mr. D. Mackinnon, M.L.A., and the executive of the local Returned Sailors and Soldiers League. 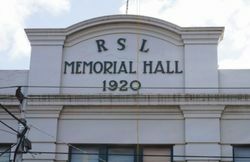 The hall will be a two-story building of monumental classic design, estimated to cost £3600, and the money has been raised by the local patriotic committee. Prahran city council acquired the land at a cost of £1200. 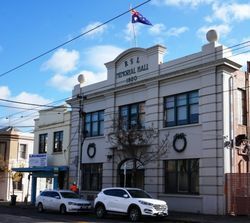 The mayor stated that the new building, when completed, would be handed over to the local branch of the Returned Sailors and Soldiers League for use as a club house, free of debt. He thanked Mrs. W. R. Young, secretary, and Cr. E. H. Willis, organiser, and the local patriotic carnival committee for their work in raising the necessary funds and for their work throughout the war, which had resulted in the collecting of between £50,000 and £60,000 for patriotic purposes. Col. Holdsworth, president of the local Returned Soldiers' League, briefly thanked the mayor and citizens for their generous gift. Subsequently, the visitors were entertained by the mayor at afternoon tea in the A.N.A. Hall. Age (Melbourne), 26 August 1920.